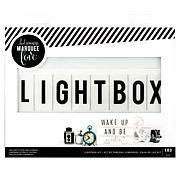 Tell the world you're celebrating a wedding, baby shower or birthday — or simply say what's on your mind with these specialty lightbox letters. 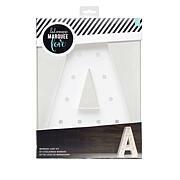 Mix and match to easily create messages, slogans and announcements that shine brightly for everyone to see. 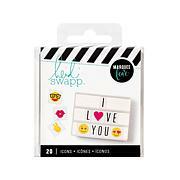 A trendsetter in the craft industry, Heidi Swapp presents her stylish collection of scrapbook and paper crafting supplies. In Heidi’s world, scrapbooking is more than a hobby – it’s a lifestyle. That passion permeates her collection of fun, fresh designs in themes and subjects that fit real life.